The Razer Piranha Gaming Headphones are engineered from the ground up to blend performance, long hours of comfort and functionality, to deliver realistic in-game audio that will satisfy the needs of the most demanding gamer! The Piranha is designed to deliver true-to-life audio quality with superior clarity and bass, an audio experience with crystal clear highs and visceral bass that will satisfy the needs of the most demanding gamer. Its adjustable, noise-filtering microphone allows you to communicate clearly with your teammates through the noise-canceling microphone, even in crowded gaming environments. 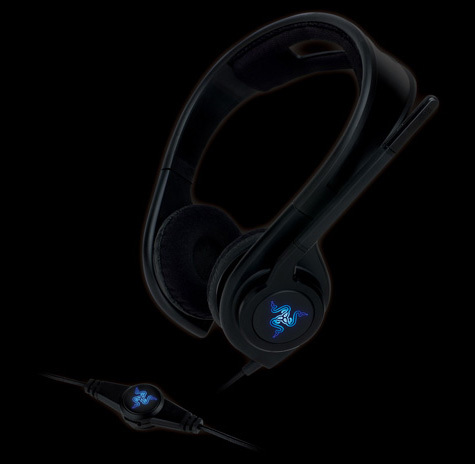 Razer designed the Piranha to be comfortable and ergonomic with adjustable head phones pieces suitable for prolonged use. So complete your gaming arsenal with the Piranha Gaming Headphones from Razer and go forth and conquer!